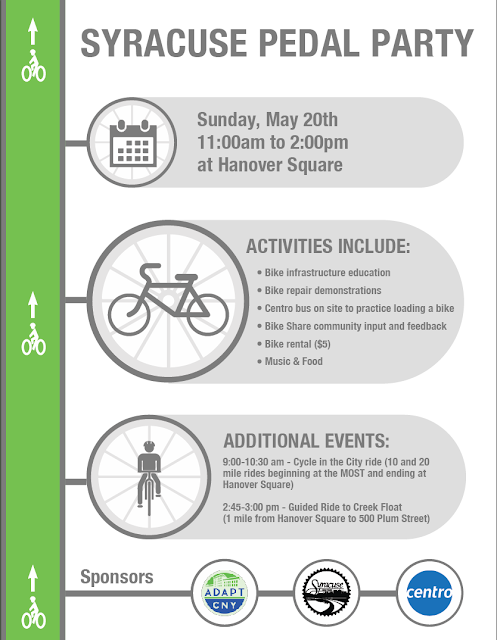 Join us on Sunday, May 20th from 11am-2pm to celebrate National Bike Month in Hanover Square. 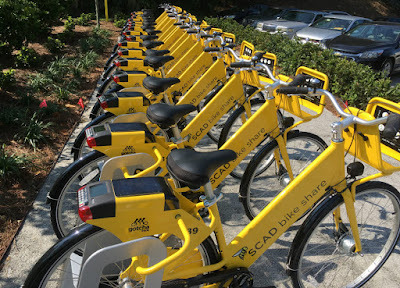 We want your feedback on bike stations, bike lanes, and all things bikeshare related. Check out the our facebook event for more information. In partnership with the City of Syracuse Office of the Mayor and Adapt CNY, the Syracuse Bike Share Committee has officially released the Request for Qualifications: City of Syracuse Bike Share System. For more information, click here. The City of Syracuse and Syracuse Bike Share Committee are working together to bring Bike Share to Syracuse this summer (2018). In the State of the City address, Mayor Ben Walsh announced the plan to issue a Request for Qualifications from vendors.